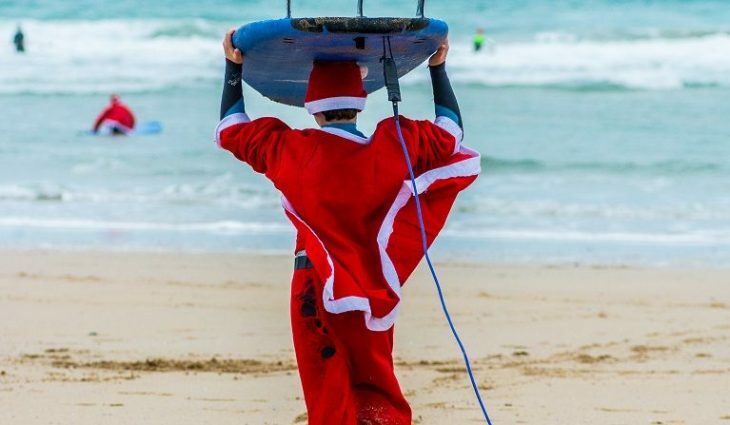 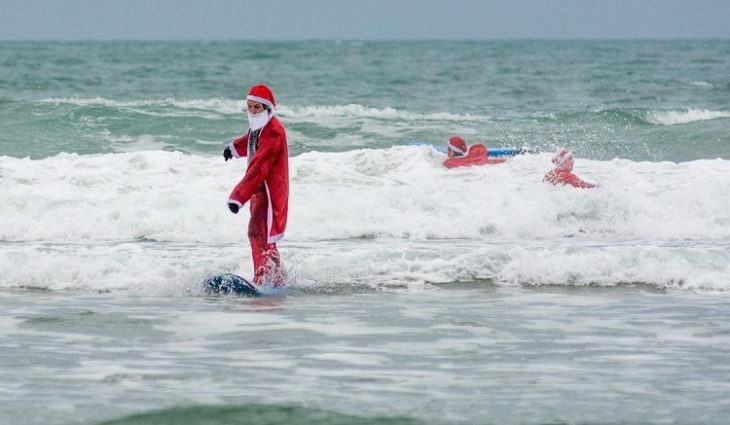 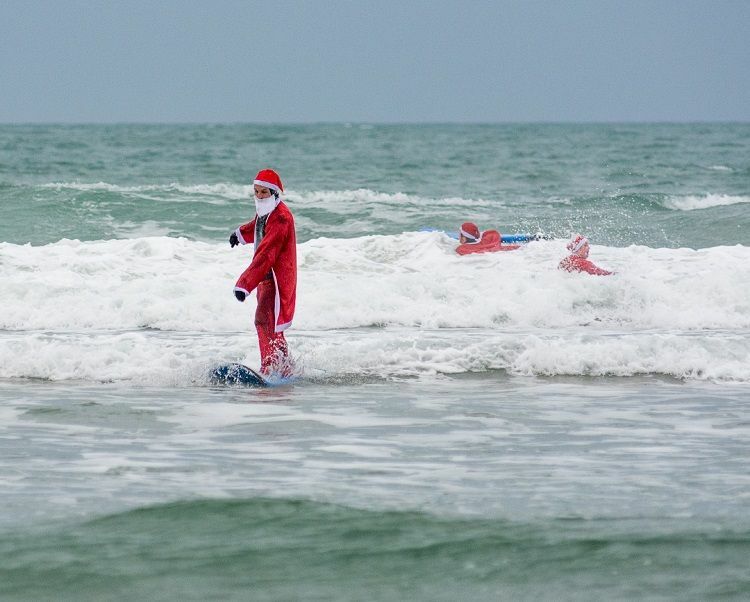 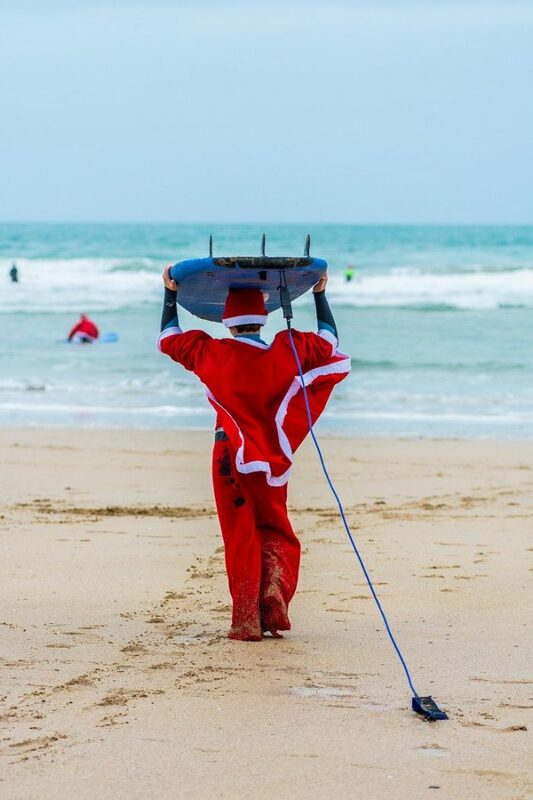 A score of surfing Santas hit Fistral Beach on Sunday to raise funds for The Wave Project. 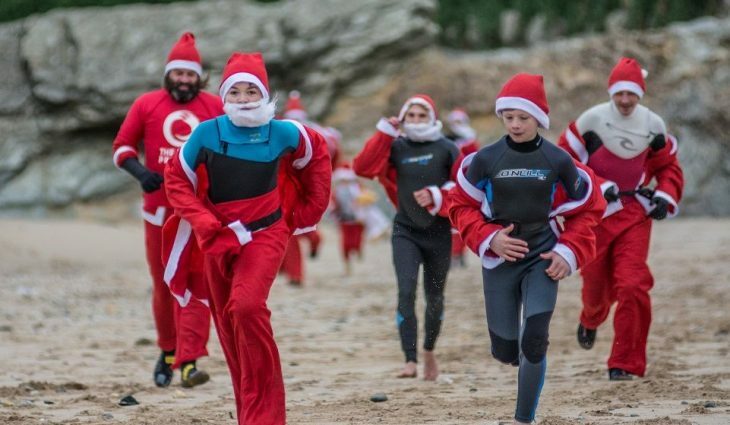 Around 20 children and adults donned Santa costumes and braved the chilly water to catch waves and raise money for the award-winning mental health charity. 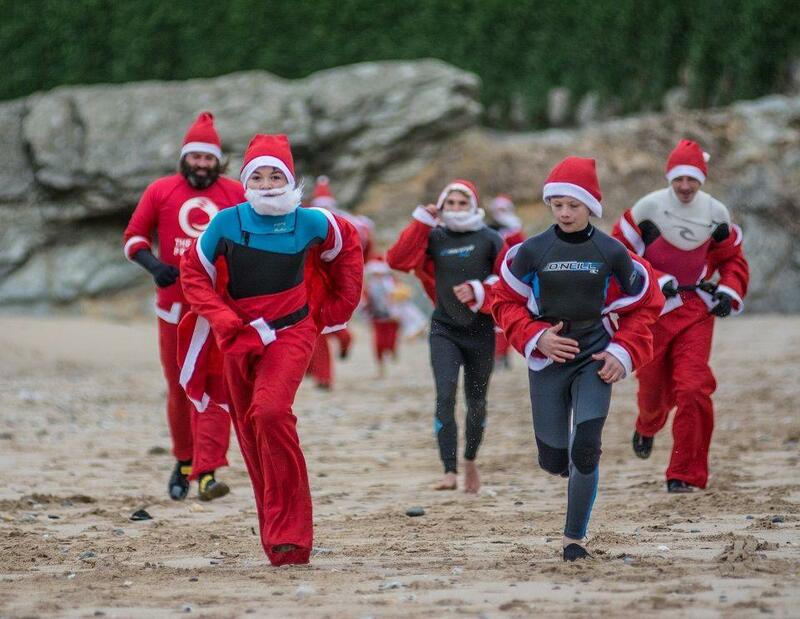 The event was run in partnership with Fistral Beach surf school, which provided boards and free coffee and mince pies for the participants. 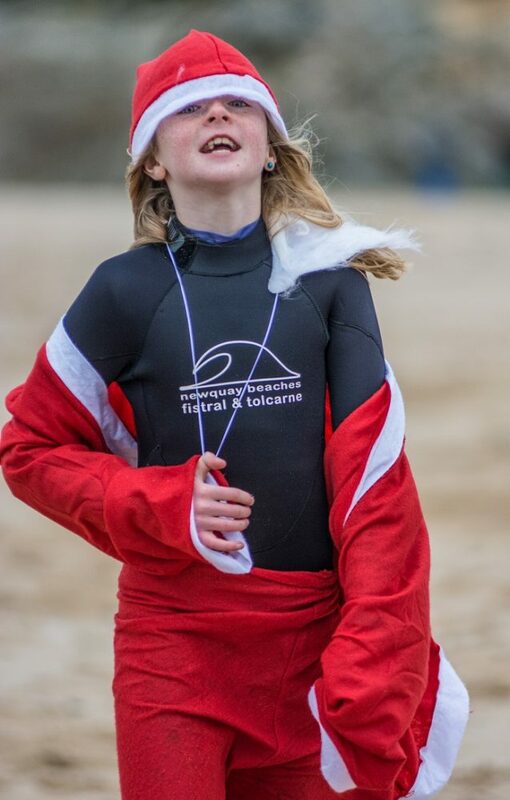 Event coordinator Corinne Jones said: “It was a great turn out and lovely festive atmosphere. 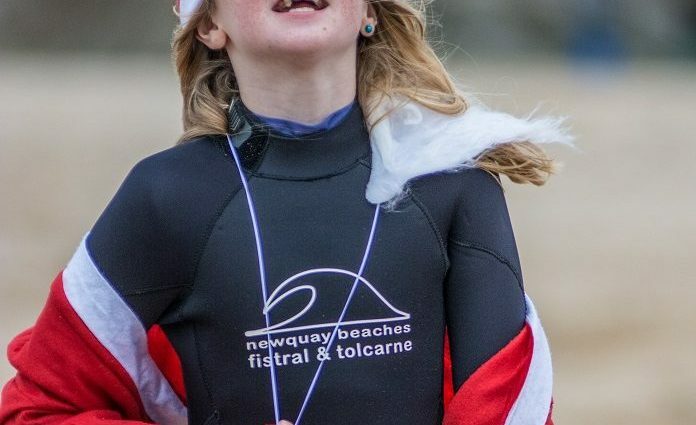 We’re so grateful to Fistral Beach for supporting the event and to everyone who was brave enough to take part!